My research focuses on the development of stochastic models for phenomena that exhibit complex dependencies, particularly when the dependencies are spatial and/or temporal in nature. I frequently employ the Bayesian hierarchical modeling paradigm in my research and regularly work on problems that are high dimensional and, consequently, computationally intensive. My methodological contributions have been in the areas of dimension reduction for spatio-temporal data, the development of covariate-driven nonstationary spatial models, data-augmentation algorithms for spatial generalized linear (mixed) models, latent space models for two-mode networks, and model-based comparisons of networks. Much of my research is motivated by applications in the environmental, social, and health sciences. I currently collaborate with social scientists at Ohio State on the Adolescent Health and Development in Context Study, a longitudinal study of adolescents and their daily activity patterns. Catherine (Kate) Calder joined the statistics faculty in 2003. She serves as co-director of the Mathematical Biosciences Institute and is a faculty affiliate of the Institute for Population Research and the Criminal Justice Research Institute at Ohio State. 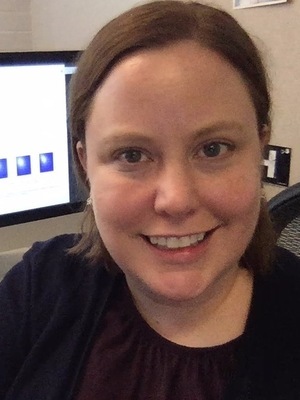 She is currently an associate editor for the Annals of Applied Statistics and Bayesian Analysis and has served the profession through various elected roles in sections of the American Statistical Association (ASA) and in the International Society for Bayesian Analysis. Her research has been funded by the NIH, NSF, NASA, and other agencies and foundations. She received the ASA Section on Statistics and the Environment’s 2013 Young Investigator Award and was elected Fellow of the ASA in 2014.